Join the University of Rhode Island College of Pharmacy for three days of interactive learning at the 27th Annual Seminar by the Sea where pharmacists and pharmacy technicians can earn more than 15 Contact Hours (1.5 CEUs) of continuing pharmacy education. 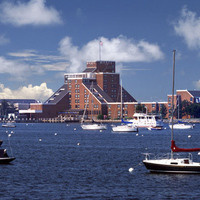 The program is held at the spectacular Newport Hyatt Regency Hotel on Goat Island in Newport, RI. A reduced room rate at the Hyatt is available to our guests. Thursday and Friday registrations include continental breakfast, lunch and a networking reception on Thursday evening. Meet up with your former classmates, URI alums, pharmacy colleagues and faculty at this annual favorite.